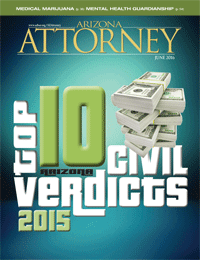 Grasso Law Firm achieved one of Arizona’s top/significant defense verdicts for 2015, as reported in the June 2016 issue of the State Bar’s Arizona Attorney Magazine. This was an excessive force by police officer and wrongful death case. The officer was dispatched to a business on a domestic violence 911 call. Upon arrival, the officer interviewed the caller, who reported that her husband (Decedent) had been verbally abusive, shoved a table at her, and made threatening comments. Decedent had entered the business during the interview and told the officerto leave. The officer refused and told Decedent to wait outside. Decedent got into his truck and put it in reverse as if to leave. The officer ordered the Decedent out of the truck. Decedent complied, but then got back in the truck. The officer tried to open the door and a struggle ensued. During the struggle, the officer discharged his Taser but missed. Decedent disarmed the officer of his Taser and continued to advance on the officer. The officer shot Decedent twice, killing him. Decedent’s two adult daughters alleged the officer used unlawful deadly force and asked the jury for $3.9 million. 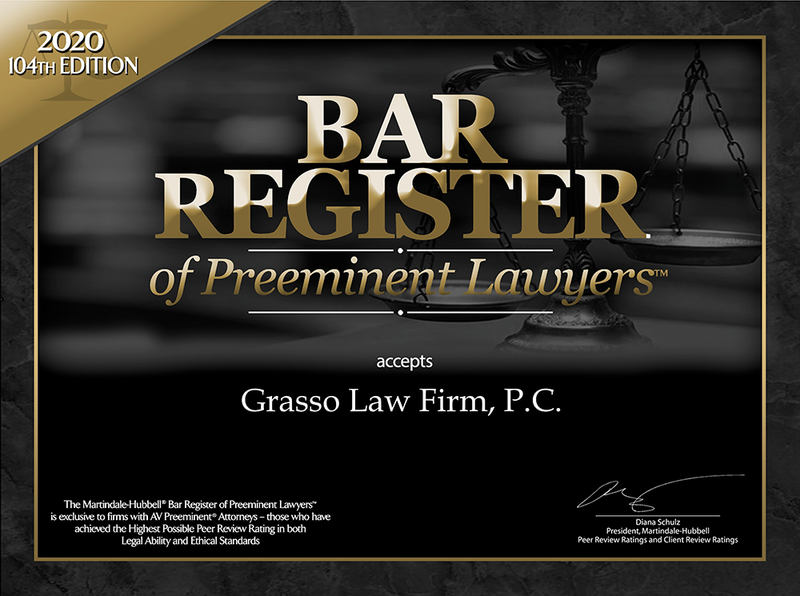 Grasso Law Firm successfully argued that the officer’s actions were justified. The jury returned a unanimous defense verdict. (United States District Court, Arizona, CV12‐08115).